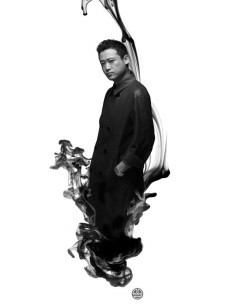 Mickey Zhang is the leading figure in the growing Chinese Dance music scene. As a producer, DJ, event organizer and ambassador for the Chinese underground music scene, he has pushed forward the development of Electronic music in China, and remains one of the most in-demand Chinese DJs in Asia. As part of the first generation of Chinese electronic producer/Djs, Mickey was the first Chinese DJ to play at Berlin’s original Tresor Club, Amsterdam’s ADE, Spain’s SONA and France’s Midem Festivals, first producer to release an album of original work in China and first Chinese DJ to play at Wire Festival, Japan’s biggest techno party. More recently, Mickey has remixed Ken Ishii, and had his music featured at the Cannes Film Festival. Originally from northwest China, Mickey’s family is certainly a musical one – his elder brother, mother and father are involved in Chinese Classical Music, Chinese Opera and Dance. At age 11 Mickey was accepted by the Beijing Dance Academy where he studied for six years. After graduating, Mickey joined a dance troupe in Guangzhou, travelled throughout China and was exposed to electronic music for the first time. After seeing Technasia perform live, Mickey moved to Beijing in 2000 and started on the road to becoming a DJ. A residency at Beijing’s legendary club Orange and support slots for international DJs like Laurent Garnier, Ken Ishii, Technasia and more soon followed. Mickey branched out into music production in 2002, remixing the World Cup Chinese theme song, producing music for television, and releasing an album which received excellent reviews in the Chinese media. In 2004 Mickey helped to establish an event planning company called o2 Culture, known in China for their groundbreaking "YEN" event series that has helped build the foundation of the Chinese electronic scene. Focused on highlighting local talent, Yen eschewed big name foreign stars in favor of rising DJs from around China, while attracting huge crowds to raves in warehouse spaces and even on the Great Wall of China. Mickey may well be the Chinese Electronic music scene’s most travelled ambassador, having played in many countries around the world, all through Europe, Japan Thailand, Canada. For the 50th anniversary of Chinese-French diplomatic relation of 2004, Mickey was invited to France to play in four cities. In 2009, Mickey was invited to Canada to perform and speak about the Chinese music scene at Canadian Music Week. In 2010, Mickey moved to Berlin to explore the European scene and expand his musical horizons. Mickey and his older brother, Zhang Wei, are also hard at work on a new album featuring electronic beats, classical Chinese instruments and modern production.